Published by Brill in 2017, “Social Regulation: Case Studies from Tibetan History” is a collection edited by Jeannine Bischoff and Saul Mullard focusing on the mechanisms that regulated Tibetan societies from the 17th to the 20th centuries. 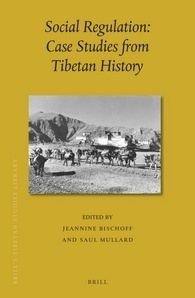 In Social Regulation: Case Studies from Tibetan History the editors Jeannine Bischoff and Saul Mullard present a collection of studies of the mechanisms that regulated Tibetan societies from the 17th to the 20th centuries. 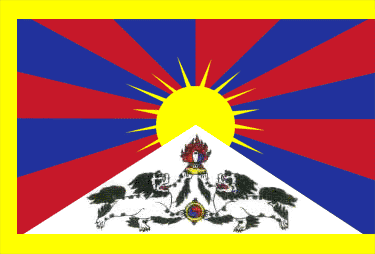 Social regulations controlled, shaped and perpetuated Tibetan societies, but close analyses of these historical processes are rarely to be seen in ‘event history’ writing. The contributions to this volume explore the theme of social regulation from the perspectives of religion, politics and administration, while addressing issues of morals and values. Covering a wide range of Tibetan societies, the geographical scope of this volume extends from the Central Tibetan area to the southeastern Tibetan borderlands and the Himalayan kingdoms of Nepal and Sikkim. Contributors are: Alice Travers, Berthe Jansen, Charles Ramble, Fernanda Pirie, Jeannine Bischoff, Kalsang Norbu Gurung, Kensaku Okawa, Nyima Drandul, Peter Schwieger, Saul Mullard, Yuri Komatsubara.